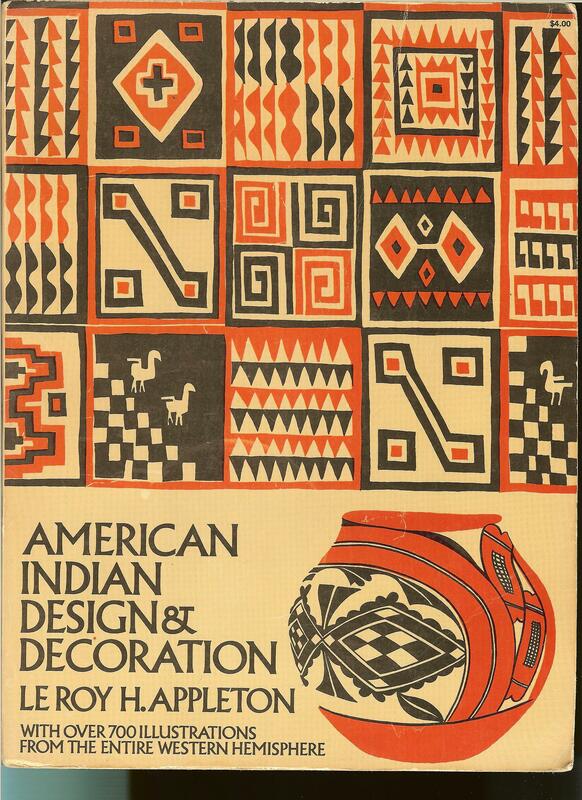 This page from American Indian Design and Decoration by Le Roy H. Appleton shows some interesting design interpretations. Many of them relate to pottery, baskets, rugs and figures/statues. But we do see some carryover into Native American jewelry. We often see the clouds, rain and lightning stamped on jewelry and inlaid into jewelry and fetishes. The abstract step like designs are often called blanket patterns or mesas but here the steps are used as part of birds and exit trail of life. Do you have any of these symbols on your jewelry? BIRDS – Note they have similar types of heads but one bird’s body is comprised of steps. 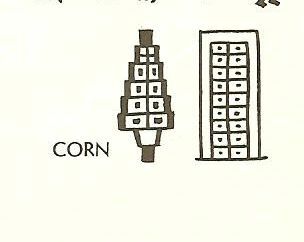 CORN – A general design that could be used in weaving and beading. EXIT TRAIL OF LIFE – Note that there is a break in the line above the design. This is the exit. Pottery and other handmade items are thought to be beings so it is with great respect that an exit is always left by the artist for the being. The line around a pot, for example, is never continuous. 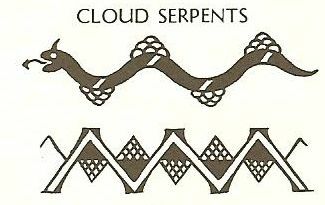 CLOUD SERPENTS – Could these be Ancient Aliens? 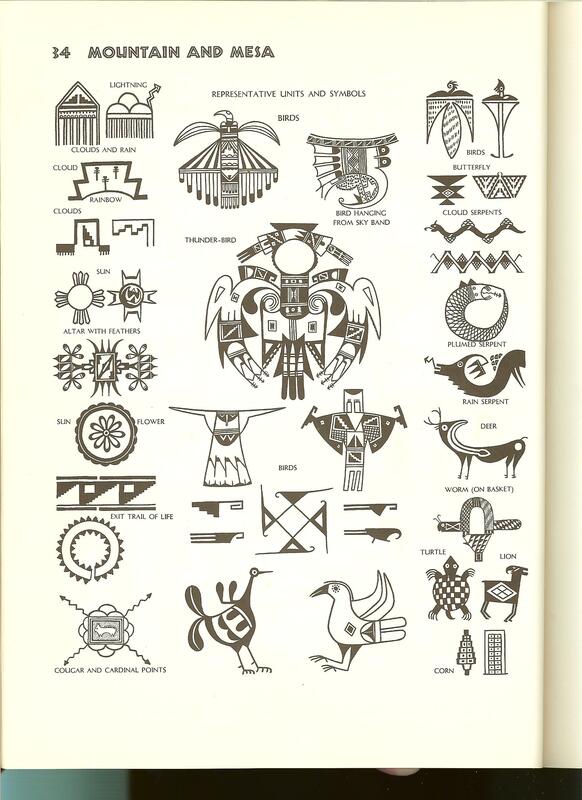 This entry was posted in American Indian Design and Decoration, Books, Clouds, Corn, Four Winds, Snake, Spirit Animals, Symbols & Powers, Thunderbird and tagged designs, native american, symbols by Native American Jewelry Tips. Bookmark the permalink. Yes, I am finding that even the most abstract design which seems to just be for design sake has an origin of a plant or animal or something in nature. I sent you a reply via email asking for a photo. Paula, I am not getting Native American Jewelry Tips as this point. Will you send them to me? We have gone through constant ISP changes – one of which are good!!!!! Norma Adams.